1. 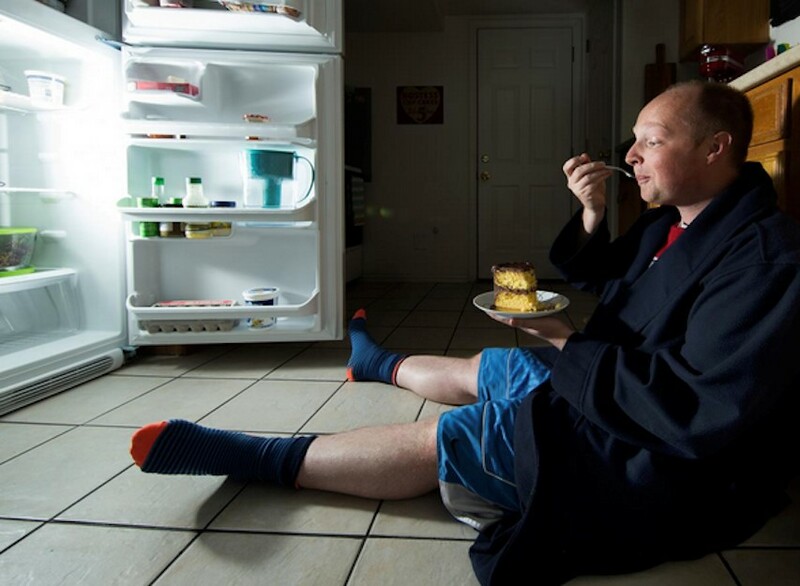 For one, eating late at night throws off your body’s natural rhythms. You probably know that annoying feeling of being uncomfortably full and not being able to fall asleep? Your circadian rhythms and many other hormones in your body are affected by the calories you ingest. The later you eat, the less your body is prepared to sleep, which wrecks memory and efficiency for the next day. 2. Eating late at night can actually make you hungrier in the 24 hours following your evening eats. The hormone ghrelin, which controls how hungry you feel, uses the naturally occurring fast that happens from 8 p.m. to 8 a.m. the next day, to reset itself. If you don’t give your body enough time to fast, then that biological pathway can’t occur. 3. Your metabolism slows down. Studies show that the later you eat, the more calories you’re likely to consume, the less sleep you’ll get; less sleep equals a slower metabolism. 4. And that means weight gain. 5. Eating late at night can cause acid reflux. Your stomach takes a few hours to empty out after a big meal, but if you go to bed shortly after you eat, acid from your stomach can leak upwards into your esophagus. 1. It might seem blatantly obvious, but if you’re hungry late at night, it’s possible you aren’t eating enough during the day. Try eating a bigger lunchtime meal and a lighter dinner to ensure that you’ve fully digested your food, and integrate more fiber into your last meal of the day to stay fuller longer. 2. Your blood sugar is going berserk. If your blood sugar levels are constantly shooting through the roof and abruptly crashing, your food cravings will feel more intense—and your willpower will go out the window. Processed foods and anything with sugar tend to be higher on the glycemic index and can cause blood sugar spikes. Try cutting the added sugar out of your diet for a few days and you’ll notice your evening food cravings disappear. 3. Cortisol and stress are causing you to snack. Maybe you’re not even hungry, but every weeknight you find yourself gravitating to the freezer for your nightly pint of ice cream. If you’ve been stressed and anxious for the entire workday, the stress hormone cortisol will be elevated. Cortisol increases your appetite for sugar and fat, hence the late night ice cream or cheese cravings. Combat stress-eating by unwinding earlier in the evening: a detoxifying epsom salt bath will help your muscles relax, meditating and deep breathing can lower your blood pressure levels, and a little melatonin can help your body naturally prepare for bed and make it easier to fall asleep. 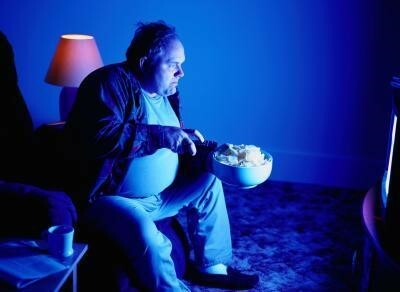 If you’re constantly battling the evening munchies, as I do, we might want to seriously consider eliminating this habit. Sure, we may go to bed hungry for a few nights, but eventually our cravings will subside, our bodies will find their normal, natural rhythm (sans ice cream), and our health will improve!